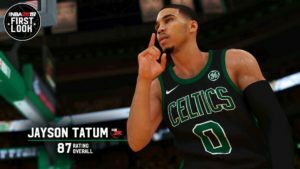 Do you want to get Free NBA 2K19 Locker Codes on your PS4 or Xbox One? What’s going on guys? Today I will be discussing the latest NBA 2K19 Patch 3 tailored to your PS4 and Xbox One console. Gamers started playing NBA 2k19 last September 7, 2018 because it was the released date of the game. Many people believed that the game was flawless and no additional fixes will be created. However, there have been many reports on the twitter and Reddit pages of NBA 2k. One thing that the people notice is that the defense gameplay of the game. There are reports that the defense in NBA 2k19 is very difficult making every gamer to force a turnover. That’s why 2k adjusted the defense in NBA 2k19 and make it easier for the gamers to shoot the ball. Here are the changes and patch note for NBA 2k19. For Nintendo switch users, you can now be able to properly invite thru the Who’s online App. NOTE: All the NBA 2K19 patch fixes will work in your existing game mode saves. Make sure that you download this NBA 2K19 Patch to apply the fix on your game.